A Muslim convert who tried to join ISIS kept a diary detailing how he wanted to buy a nine-year-old slave girl. In the diary found on his phone Patrick Kabele, from Willesden in north London, also said he had a ‘death wish’ and wanted to die young. Jurors at Woolwich Crown Court, where the 32-year-old is on trial for a terrorism offence, heard Kabele was stopped as he tried to board a Pegasus Airlines flight from Gatwick to Istanbul, Turkey on August 20 with £3,000 in cash. Patrick Kabele (pictured on his passport), was stopped as he tried to board a Pegasus Airlines flight from Gatwick to Istanbul, Turkey. In the notes on his phone, he also wrote he wanted to buy and marry a ‘nine-year-old virgin, the younger the better’. But he said if he had enough money, he would buy four wives. 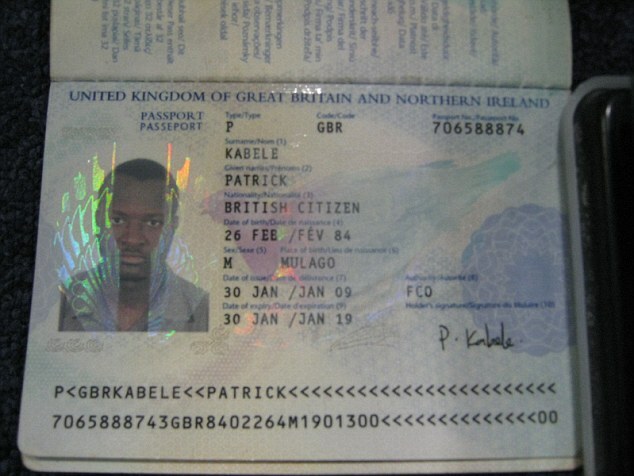 Kabele was born in Uganda and became a British citizen but told police after his arrest that he did not ‘owe an oath of allegiance’ to the country. In the entries, beginning in November 2015, he wrote he wanted to ‘de-clutter’ his life before ‘making hijrah’ – emigrating to a Muslim country. Prior to his planned trip, he had settled a tax bill, paid off his student loan, cancelled his gym membership and repaid his sister £1,100 for a holiday he cancelled. 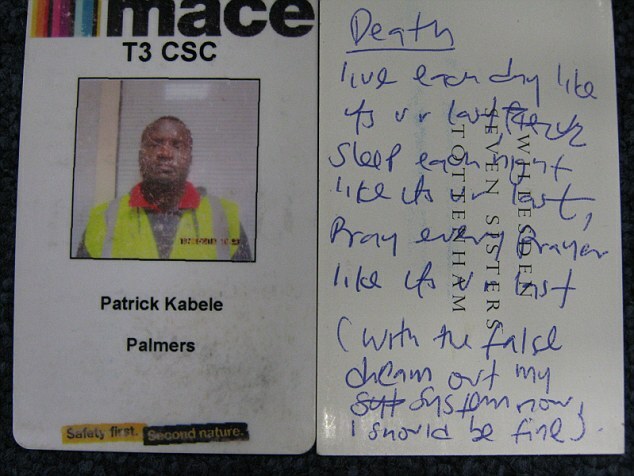 Patrick Kabele, from Willesden in north London, also said he had a ‘death wish’ and wanted to die young. ‘He put his affairs into order before he left, on the assumption that he might never return from this trip,’ she added. Kabele also wrote: ‘If i ever marry again its gotta be a virgin 9yrs old as what i would want. The younger & experienced the better. ‘I want to fight on the frontline where there’s the heaviest gunfire/thickest action, I got a death wish but not by my own hand,’ Kabele added on August 5. Kabele denies preparing acts of terrorism by trying to get to Syria. The trial continues.